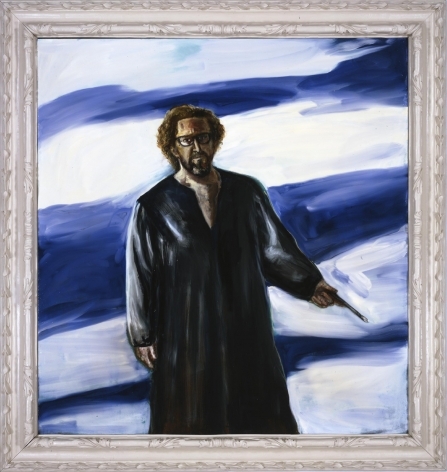 Julian Schnabel is an American artist, filmmaker, writer and musician. 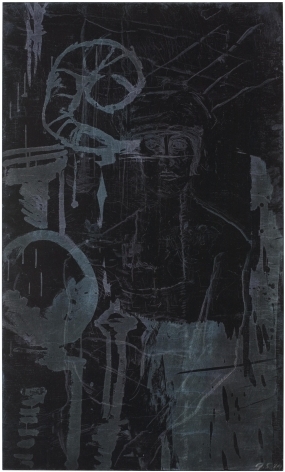 He rose into prominence as part of the internationalist Neo-Expressionist movement in the 1980s along with Jean-Michel Basquiat and Sigmar Polke. Opposing the intellectualism of Conceptualist and Minimalist art, Schnabel sought to balance technicality with emotional resonance. He reintroduced human sentiment to painting creating depth with such materials as black velvet, cardboard and weathered tarpaulins. Schnabel studied at the University of Texas (1973) and the Whitney Museum Independent Study Program (1974). His work is included in major international museum and private collections, such as the Metropolitan Museum of Art, Museum of Modern Art, Whitney Museum of American Art, Reina Sofia in Madrid, and the Centre Georges Pompidou in Paris. Schnabel's creativity is also evident in film, such as the award-winning feature films Basquiat, Before Night Falls and Le Scaphandre et le Papillon.